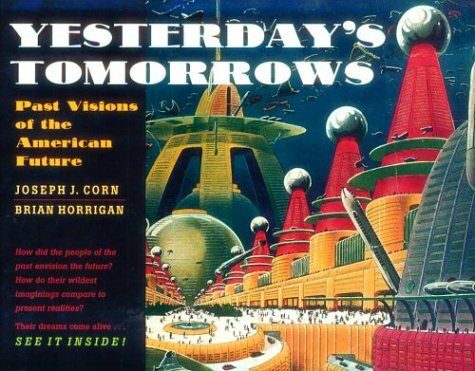 In 1954 Victor Cohn wrote the book 1999: Our Hopeful Future. Cohn, a well respected science and medical journalist, reportedly interviewed scientists and engineers at MIT while researching for his book. Pink snow covered the ground in 1999. Farmers sprinkled dye to absorb sunlight, speed melting and advance planting ... For lunch the Futures ate wood steak, planked and loved it - all except Billy, who bawled, "I want an oil-cream cone." ... "Where's Susan?" said John. "Oh here she comes." "Hi," said the teen-ager. "Gosh, I'm not very hungry tonight." The gang stopped at Joe's Fly-in for plankton-burgers. Quoted from the book Bad Predictions by Laura Lee.